Survey finds 5% of Germans 'extremely' anti-Semitic, doubles with Germans who lived through the Nazi regime. Nazi anti-Semitic propaganda had lasting effect on German children who lived through World War II, according to a study released Monday. 5% of the total German population in 2015 defines itself as "extreme" anti-Semites, but that number jumped to 10% among children who were educated during the Third Reich. The study, an ALLBUS survey, was published by the Proceedings of the National Academy of Sciences. ALLBUS questioned 5,300 respondents in 264 locations. "This is the first major finding; growing up under the Nazis makes people much more anti-Semitic," Nico Voigtlaender from the University of California told the International Business Times on Monday. "This suggests that the Nazi's were extremely successful at instilling these anti-Semitic beliefs in the population." Voigtlaender added that Nazis successfully built on anti-Semitic beliefs already prevalent in specific regions of Germany, e.g. those found to have the greatest anti-Semitic slant in votes dating back to the 1890s. For example, he said, 10% of respondents in northern Germany believe that Jews do not deserve equal rights under the law, but this jumps to 48% in historically anti-Semitic Bavaria. 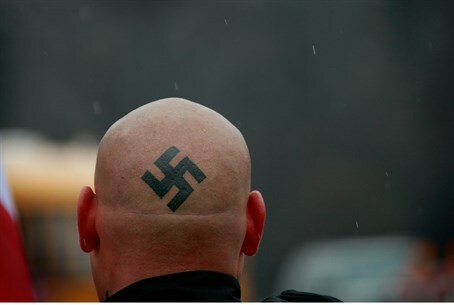 Anti-Semitic violence has been on the rise in Europe and has not skipped Germany. In 2014, there was a whopping 1,000% rise in anti-Israeli crimes and violent assaults in Germany, and a 25% rise in anti-Semitic crimes and attacks.